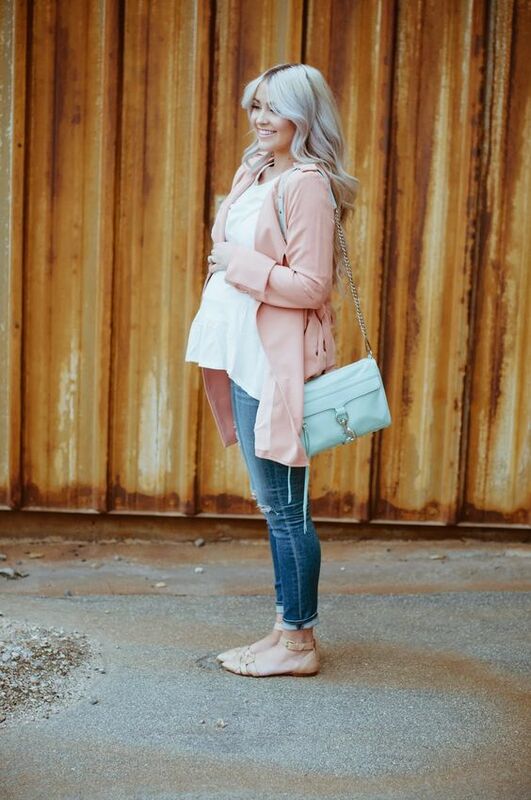 Going to be a mom? I have some ideas for you then! 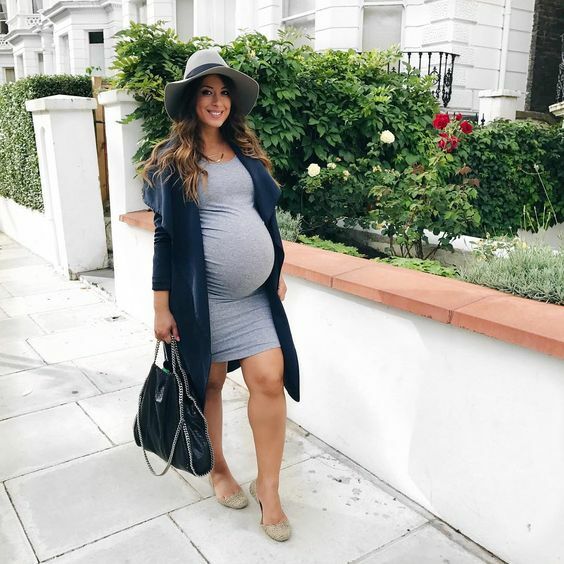 today I’m sharing sweet pregnancy outfits for the spring, they not only look stylish but also will make you feel cozy and comfy for 100%. Interested? Let’s have a look at them all! 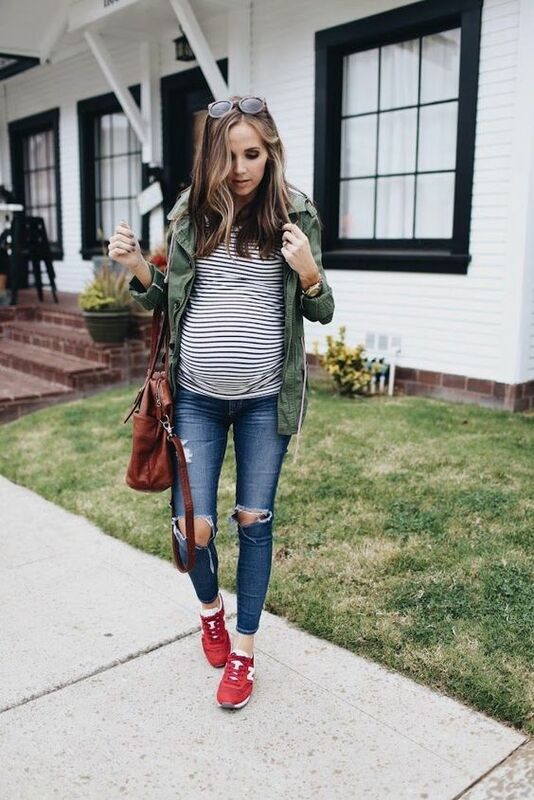 Jeans are popular for any kind of outfits, even if not to speak about maternity ones. 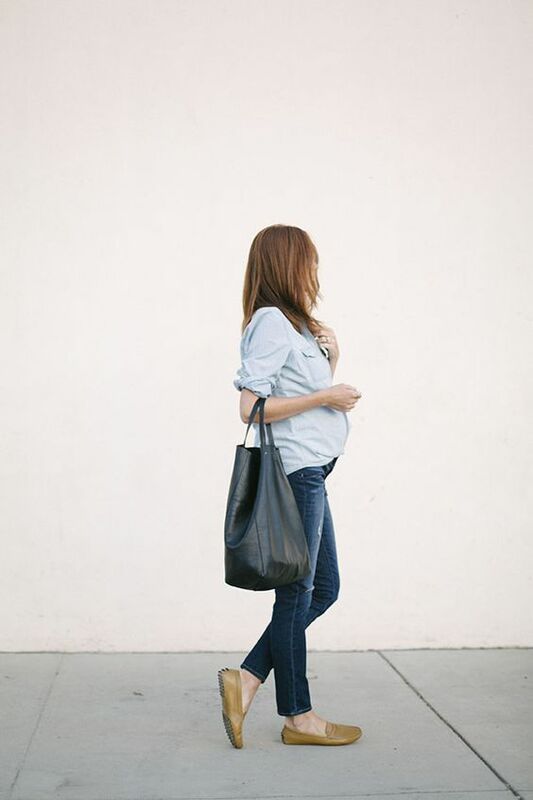 Rock a pair of your favorite jeans, a printed tee and comfy wedges or sneakers and you’ll look amazing! 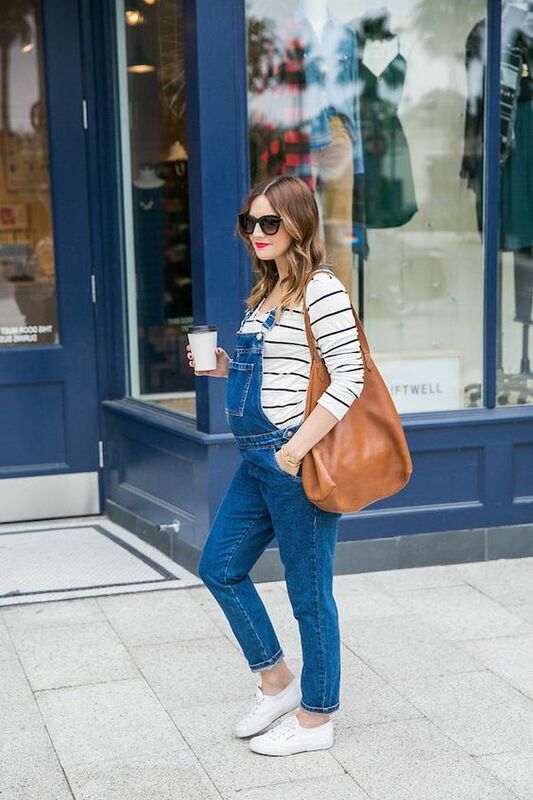 A denim overall is an idea strongly loved by all moms-to-be, and it’s easy to style: put on a tee or top you like and chucks or flats, and that’s it! 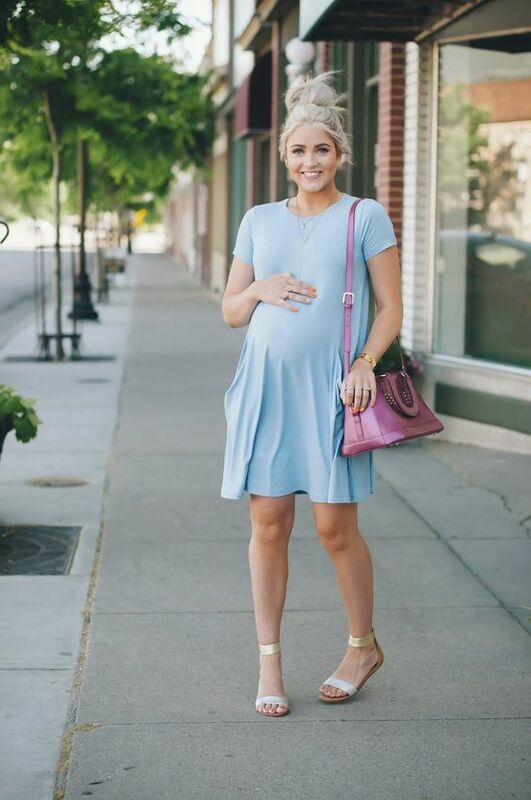 Skirts and dresses may be comfier for pregnant girls to wear as they don’t hamper at all. Rock some flowy and comfy dress, a leather or denim jacket and cool booties, flats or even sandals. Tulle and other midi skirts are everybody’s love, you just need a blouse or a shirt and some bold shoes or flats to create a cool look. Look at the ideas below to get inspired!